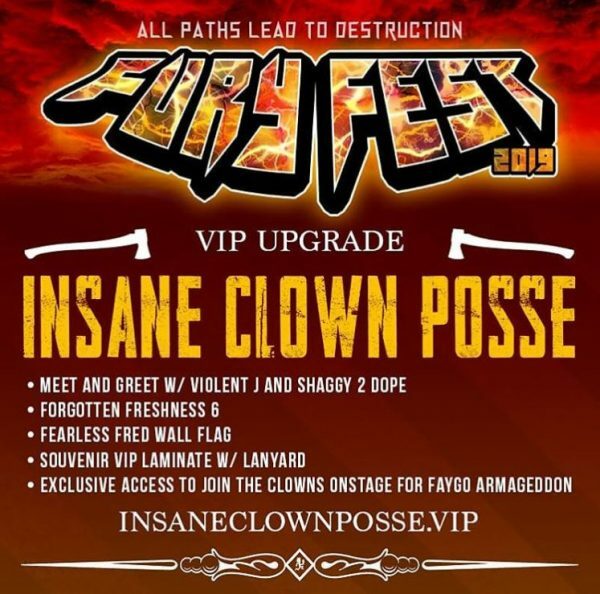 Radio420™: ICP’s “Forgotten Freshness 6” Available to ALL Fury Fest VIPs! As with all tours in recent years, a VIP Upgrade Package is being offered for Fury Fest! You will of course get your meet and greet with J and Shaggy, and get onstage for Faygo Armageddon, but one other item has been added that will surely make these packages sell like crazy! Each VIP holder will get a copy of Forgotten Freshness Volume 6!! There’s no word on the track list, but that’s a pretty dope incentive to grab one on top of everything else! Each VIP pass is $100.00, and you can purchase yours for ANY date of the tour by going to InsaneClownPosse.VIP! Click to purchase your Fury Fest VIP Package!